The arts ask us to look closely. To slow down. To reflect. To question. To imagine. Please join us at the Alumni Arts weekend, September 14-16, 2017 at Harvard University in Cambridge, MA. This September, our alumni community will come together to explore the role of the arts at Harvard and in the world. 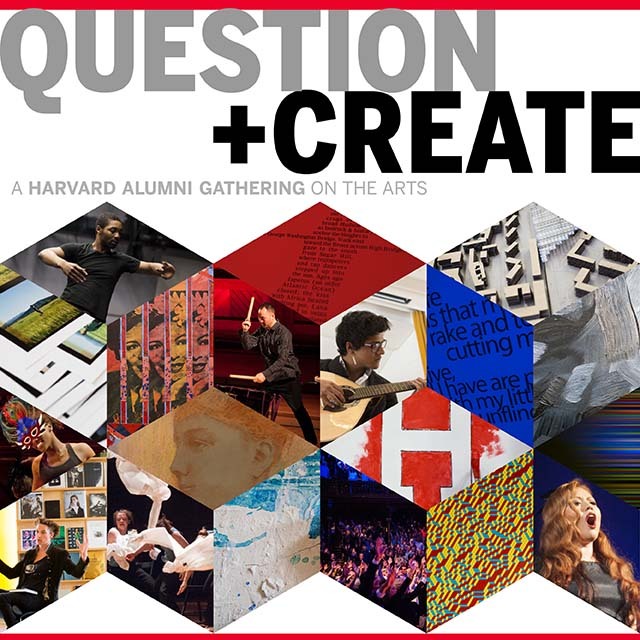 Join us and discover how the arts are shaping Harvard's campus and community. Meet alumni, students, and faculty practitioners from across the globe who are using the arts to inspire new ways of thinking and creating. Examine the role of the arts in cross-disciplinary teaching and learning. Discover how we can use art to teach and inspire empathy. And grow your community of alumni who care about the arts. • Hear from President Drew Gilpin Faust about Harvard’s commitment to the arts. • Participate in a variety of faculty- and alumni-led sessions, including TED-style talks, interactive conversations, and more. • Experience performances by Harvard arts practitioners. • Expand your network of alumni who share an interest in the arts. We anticipate this event will sell out, so I encourage you to RSVP today. I look forward to welcoming you back to Harvard for this special program.